To estimate light exposure changes during cataract surgery through intraoperative images simulated from the “patient’s perspective” using an animal model. In this experimental study, a 3-mm maculostomy was performed through the posterior globe’s surface of 15 porcine eyes. Eyes were fixated to a glass slide and placed over an iPad camera. Video footage of a cataract surgery was obtained through the maculostomy for each eye, keeping light exposure parameters and focus constant. Seventy-five images, five from each eye, were extracted at pre-determined points, and mean gray value (MGV), a light intensity measure, was calculated. Differences in MGV between discrete surgical steps were evaluated using multiple one-sample t-tests. This technique allowed for the capture of a full-length cataract surgery through a 3-mm maculostomy. MGV range was 14.21–132.51. Light intensity was similar across surgeries and varied greatly through each procedure. A 24% decrease in MGV between post-hydrodissection and post-phacoemulsification stages was noted (difference − 18.36; 95% CI − 30.50 to − 6.22; p value = 0.006). A 22.4% decrease in light intensity was noted after phacoemulsification in comparison to the starting image (MGV difference − 16.78; 95% CI − 32.45 to − 1.12; p value: 0.0375). Light intensity was similar at the start and end of surgery (difference − 7.15; 95% CI − 19.35 to + 5.05; p value = 0.229). 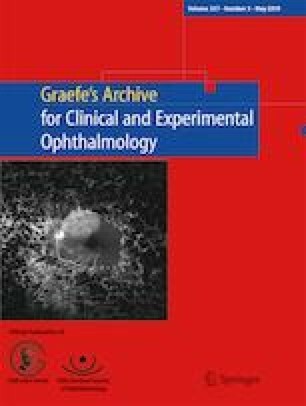 Light intensity changes through different steps of cataract surgery and may be minimal after phacoemulsification completion. This video and data may serve as informational and educational tools for surgeons and patients. Hideki Fukuoka and Ruti Sella contributed equally to this work. The online version of this article ( https://doi.org/10.1007/s00417-019-04288-0) contains supplementary material, which is available to authorized users. This study was partially funded by the Research to Prevent Blindness, New York, NY, Unrestricted Grant. Research to Prevent Blindness, New York, NY.